If you are in the market for a high quality everyday use knife that will not break the bank, look no further. The Kershaw Needs Work Black 1820BLK is a workhorse. The lightweight utilitarian design of the knife makes it an ideal edc knife. Sandvik 14C28N stainless steel comprises the utility style blade, which has a non-reflective black coating. 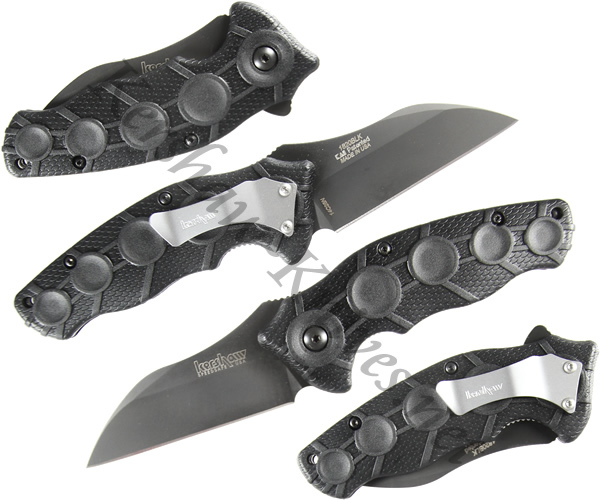 The Kershaw 1820BLK has Speed Safe assisted opening. A liner lock ensures that the blade remains in position. The glass filled nylon handle has generous finger grooves for a comfortable grip. A pocket clip is included for convenient carrying with quick access.